You already know that a blog can be a powerful tool for building authority and thought-leadership, sharing benefits of your company/product, and addressing your audience’s needs and concerns. But what happens when your goals are specifically around selling ideas and not products or services? 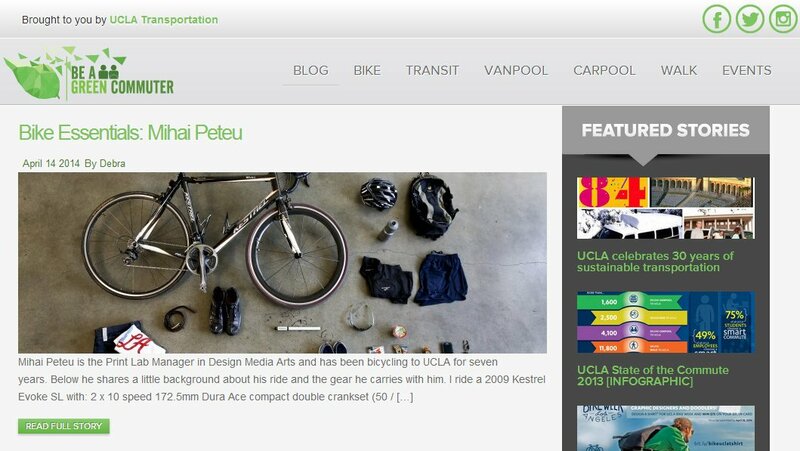 In last month’s Blog Rescue column, we took a look at how a company might traditionally use a blog, but this month, we’re taking a look at a website from UCLA Events & Transportation, BeAGreenCommuter.com (BAGC), aimed at encouraging the UCLA community to consider alternative forms of transportation. Our consistent challenge is increasing our readership. Right now most of our traffic comes from sharing links to our posts on Facebook and Twitter (which isn’t bad in and of itself), but I wish we could create a standalone readership who finds our content valuable enough that they’d come back to the blog on their own. When it comes to a blog readership, it’s important to understand the value you provide your audience. Who are your readers and what do they need on an ongoing basis? How can you create content that draws them back again and again? Since we don’t have access to BAGC’s analytics, we looked at its usage on Feedly, a popular RSS reader. While it is only a slice of all RSS activity for this blog, it can give us some public information to work off of. There are only a handful of subscribers to the site through Feedly, but among Feedly users, it’s clear that two of the most recent 10 blog posts have gotten much more interaction than the others: 10 of the best LA day trips (and how to get there on transit from UCLA) and 8 Of the Best Hikes in Los Angeles – And how to get there on transit from UCLA. Most likely, these two posts are doing well because they are truly useful to the UCLA community (and even people outside of the immediate community). Instead of focusing on the benefits of green commuting and possibly preaching to the converted, these posts integrate green commuting into a broader idea. They provide Youtility to your audience and are the kind of content that will perform well in search. By using these activity-list blog posts as the backbone of its blog content and thinking about the youtility of every blog post for its audience, BAGC can provide the kind of useful content that will keep engaging readers. Post on a regular basis. In order to encourage readers to come back to the blog consistently, BAGC should post on a regular schedule throughout the month, instead of only sporadically. Aim to post twice per week. Post on the same days each week (For example: Monday and Wednesday) rather than have lulls in post frequency followed by days where multiple posts go up in the same day. Use more visuals. Do more visual storytelling. Visual blog posts can provide a lot of information while addressing the fact that most readers don’t spend a lot of time reading. Visual content can also easily be split up and adapted as content for different social media channels. As we mentioned in our last Blog Rescue, captioned slideshows are a great way to keep things moving. Get creative with content and posts. Not only do you want to identify post ideas that are useful to your audience, you also want to think about ways to creatively tell those stories. 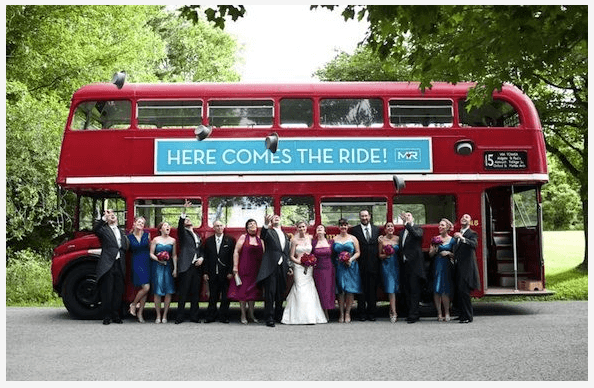 Now, BAGC has done some really creative things: the Valentine’s Day post, Love on transit: 30 wedding photos on trains and buses, and 10 of the world’s coolest transit maps were great creative posts. Continue to think along those lines, but make sure to think about ideas that will resonate with BAGC’s audience—the UCLA community. For example, during March Madness there could have been posts about students getting to and from the most popular places on campus to watch games or a post about the most dedicated (read: craziest) Bruins fans found on a bike or a bus or on foot. BAGC could have a monthly post about the zaniest quotes heard while riding a bus. During graduation, there could be posts of students in caps and gowns getting to and from a ceremony. In these posts, the main storyline isn’t about green commuting and its benefits. The story is about the UCLA community and what that community looks like, act like and feels like in the context of commuting. BAGC should also make a plan around promoting its content to a wider audience. Debra told us that as a non-profit, there’s no budget for advertising. We kept that in mind when we put together the next three recommendations. Make it easy to share and engage with content on the blog. Consider adding dynamically-fed content from the blog to the home page of the website so that repeat visitors are shown new content each time they visit. Also, consider adding social sharing tools both on the blog’s index page, as well as on each individual blog post page, so that readers can immediately tweet, share, and pin content that interests them. Cross-promote on social platforms. Regardless of your budget’s size, social outposts are a blog’s friends. When your budget is limited, social outposts are a blog’s besties. Each and every post should be cross-promoted through social media. In BAGC’s case, that cross-promotion is going to predominantly happen on Facebook and Twitter. With the addition of more visual content, it could happen on Pinterest, too. Once BAGC gets into the habit of posting regularly (twice per week), it should look at ways to promote each post multiple times on its social platforms. Remember, blog posts contain lots of points and ideas. Social content usually just consists of one point or idea. You can write 2 – 4 different tweets that talk about different aspects of the same blog post. Spread those out over the course of days or a couple of weeks and you can promote the same blog post multiple times. Identify advocates and partners to help spread the word. When you’re selling ideas, there are bound to be others who are going to share your passion. You just have to find them. Once you do, ask them to help share your content. You can find these people a number of ways. There are tools like Social Toaster that will lead you right to them. There’s functionality in Sysomos, Meltwater, and Radian6 that will help you find them. You could even identify them by monitoring hashtag usage on Twitter, which is often the most cost-effective option. BAGC can also look for opportunities to partner with other organizations to promote its blog. Is there an opportunity to provide content from the BAGC blog to a campus-wide email? Each program within UCLA likely has a newsletter, website or email for its body of students. Look at ways to provide content there that will promote the blog and draw the greater UCLA community to it.